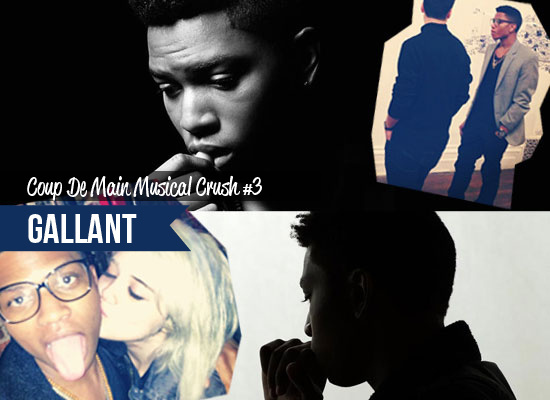 Music Listen: Gallant's new song 'Doesn't Matter'. Music Gallant - 'Gentleman' music video. Music Watch: Dua Lipa and Gallant cover 'Tears Dry On Their Own' together. Music Gallant - 'Talking To Myself' music video. Music Watch: Gallant perform 'Weight In Gold' on Corden. Music Gallant feat. Jhené Aiko - 'Skipping Stones' music video. Music Watch: Gallant cover The Chainsmokers ft. Halsey’s song 'Closer'. Music Must-watch: Gallant + Elton John performing 'Weight Of Gold' live. Music Watch: Gallant perform ‘Weight in Gold’ on The Tonight Show. Music Watch: Sufjan Stevens and Gallant covering Drake’s 'Hotline Bling'. Music Gallant - 'Weight In Gold' music video. Music Must-listen: Gallant's new song, 'Weight In Gold'. Music Must-listen: Gallant - 'Open Up' music video. Music Must-listen: Gallant's new song, 'Forfeit'.